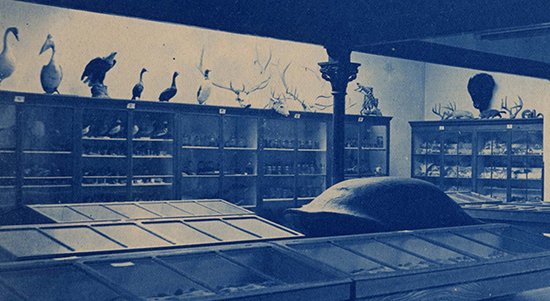 This is the Hovey Museum in the late 1890’s. 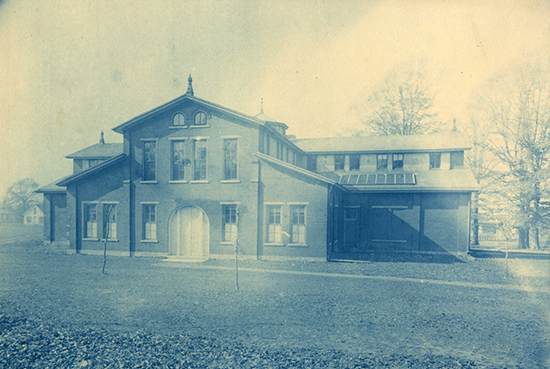 It was built in the 1870’s, where the Armory stands today, as the Polytechnic Gymnasium. Following the Civil War the government created military training courses at colleges across the land. Wabash had a course and this building was home to the program with space in the main level for drilling and exercises and on the second level for military arts like bridge building and surveying. 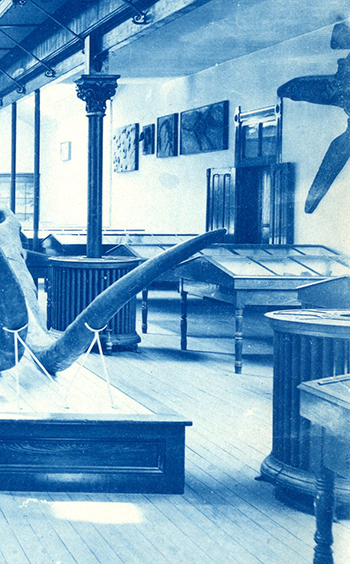 When that program was discontinued the space was empty for a while until a musuem was created to house the collections gathered by Edmund O. Hovey over several decades. 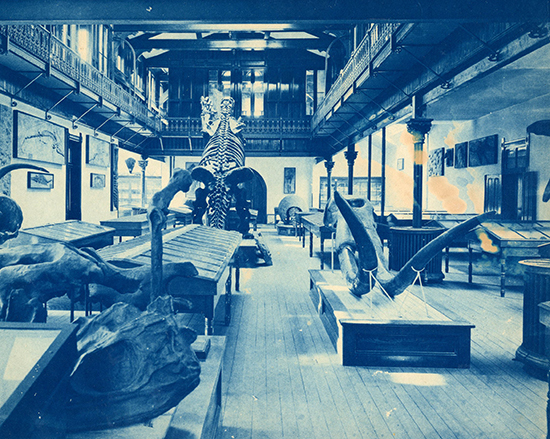 Here is the long hall filled with all sorts of natural history items. It was truly quite a museum in its time. This is the space off to the left where we can see a wide variety of animals on the cases. With a little boost from technology we can even see into one of the cabinets. Shells in the left and coral and starfish in the right cabinet. Off to the right of the long gallery was a doorway into the faculty offices and a small library of the latest scientific books and journals. 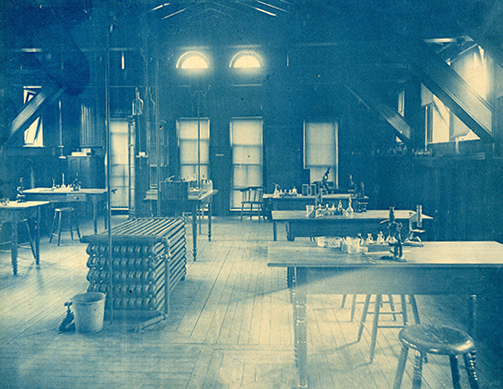 This is the office as it was during the tenure of Mason B. Thomas, complete with the latest in scientific equipment. 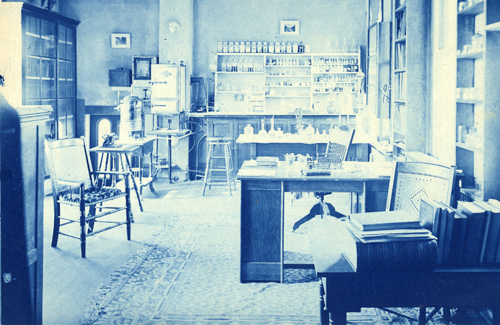 This is the space in the second floor where students worked on their laboratory sciences. 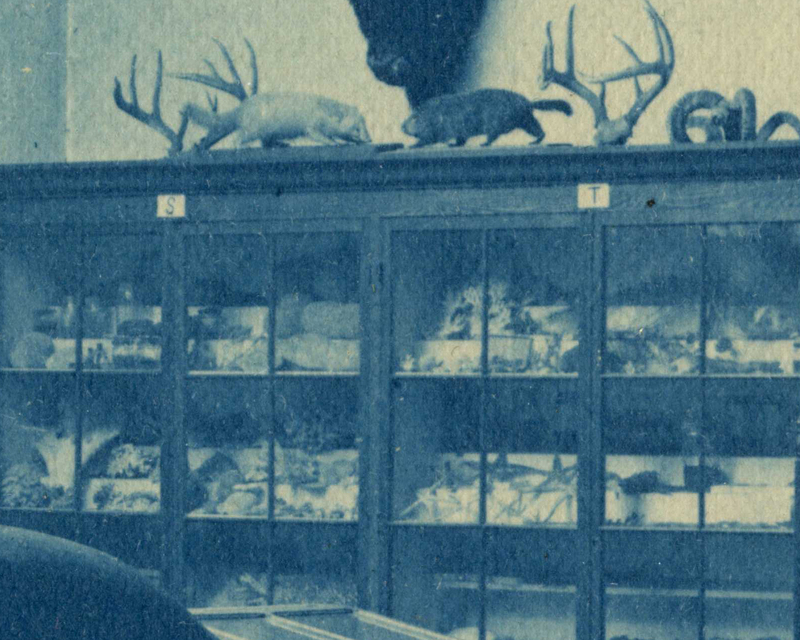 When the zoology department moved into South Hall, along with various collections, it became clear that all of this space was going to waste. That factor and the arrival of basketball rather doomed this old building. As you can see in the first picture, there are a string of poles on either side of what might serve as a basketball court. So as WWI’s clouds were gathering, Wabash embarked on a new project. Build a gymnasium, the students called out to any who would listen. And the college did just that, and owing the militaristic turn in the minds of all, it was named the Armory. I hope you have enjoyed this little peek into the history.